We are a small scuba diving shop, so you're guaranteed to get good, personal, friendly service during every visit at our store. You will train with high-quality, new gear. Training/rental gear is replaced on an annual basis to ensure optimal performance. You will receive over 20 hours of pool & classroom training and another 10 hours during your open water dives by a qualified instructor. Don't compromise with the "get certified quick" courses that are out there providing the bare minimum personal attention to just get you through the course! WE GO DIVING!! We are a very active group of divers. You'll find us out diving throughout the summer in Jasper, Twin Lakes, and other local lakes... weekly after-work dives, weekend camp 'n' dives, and attending the AUC fun activities. We venture to Vancouver Island and the Caribbean a few times throughout the year with groups of divers. All levels of divers are welcome to come "fun diving" with us! 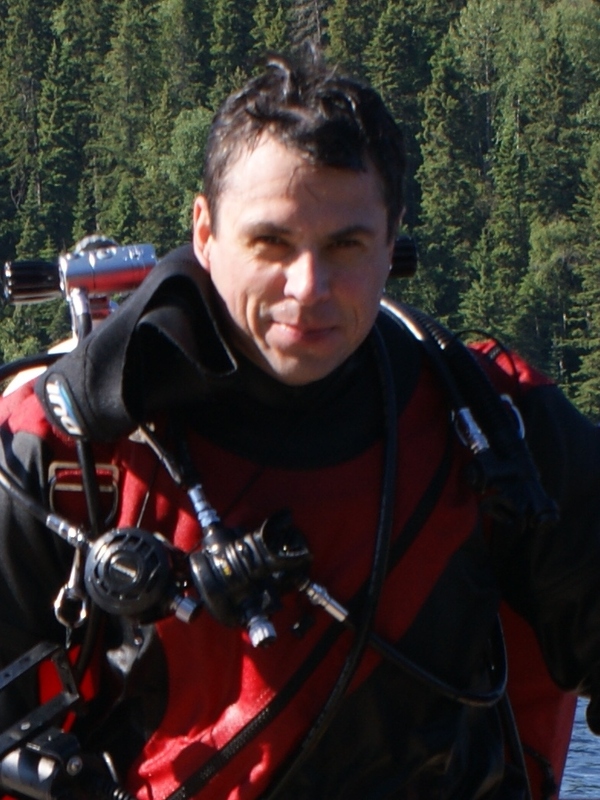 Lorne started diving in 1991 while living on Vancouver Island during his time with the Canadian Navy. He went on to earn his instructor certification in 2002 and is currently a certified Staff Instructor Trainer with SDI and an Instructor with TDI. He started diving with a rebreather in 2007, but still makes bubbles with his students on a regular basis. 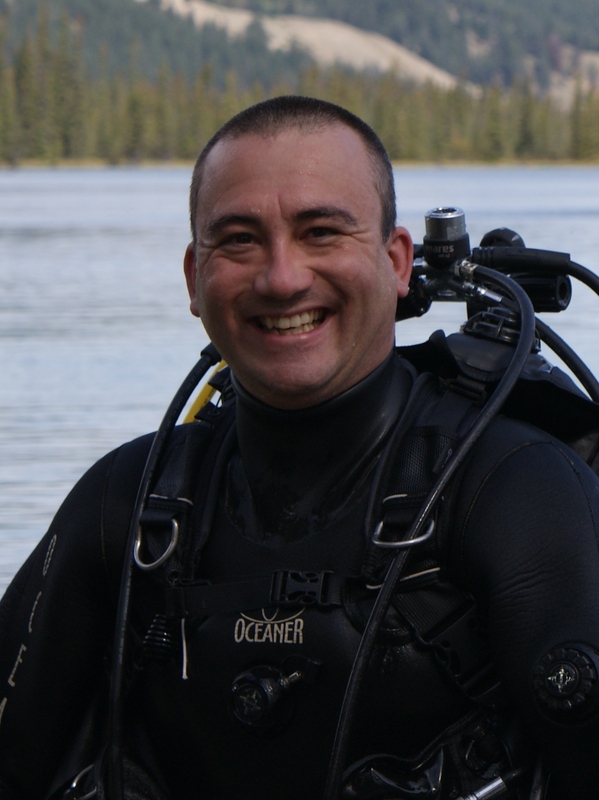 He has done alot of diving around Alberta and Vancouver Island has traveled to the Caribbean including Mexico, Belize, Honduras, Bonaire, Dominican Republic. He has dove many times on the artificial reef "HMCS Cape Breton" in Nanaimo which was once his sleeping quarters during his Navy days. "Toss up between Vancouver Island and Bonaire. Then of course there's Twin Lakes." Angie is a certified instructor with SDI. She got bit by the diving bug back in 1999. Like many Edmontonians she got certified in Jasper. It was September long weekend and it SNOWED! She has dove around Alberta, Vancouver Island, Palau, Truk Lagoon, and all over the Caribbean: Mexico (including cenotes), Dominican Republic, Honduras, Belize, Cayman Islands and Bonaire. "For warm water, definitely Bonaire. For cold water, Vancouver Island. Most unforgettable diving... Truk Lagoon." 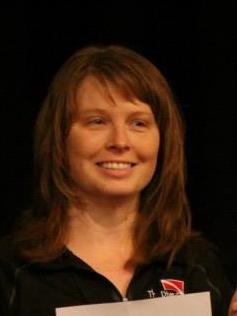 Cheryl has been a certified diver since 1997 and has dove all over the Caribbean, Alberta, and Vancouver Island. She has also dove Scapa Flow in Scotland. 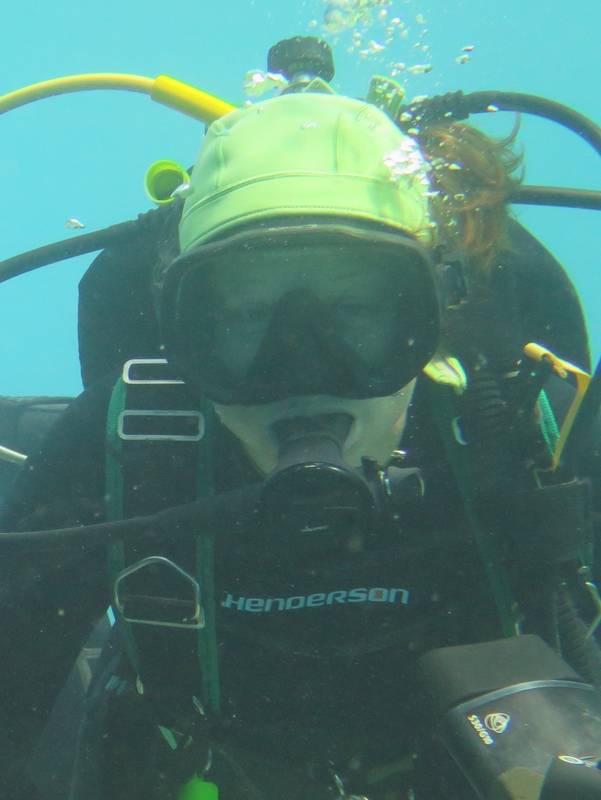 Cheryl earned her Instructor rating in 2012 and loves introducing the underwater world to others. 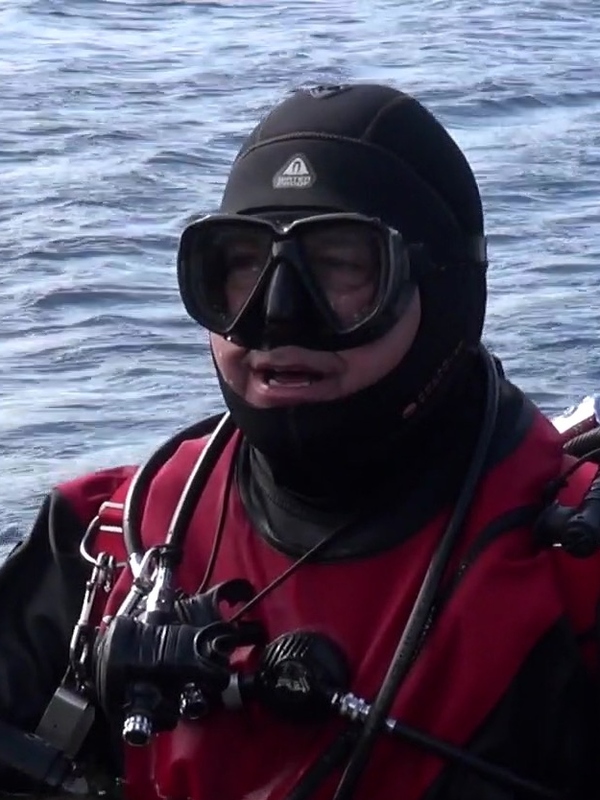 Jim’s first go at scuba diving occurred back in 1976, when he completed his pool and classroom training, but could not face putting his head underwater at Hubbles Lake that year due to the severe algae bloom. 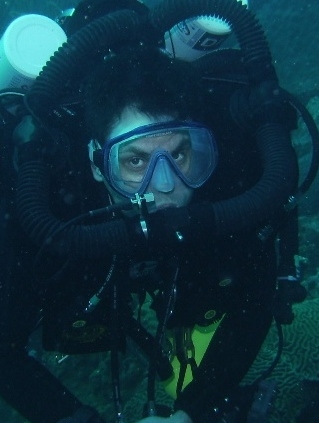 While on a family vacation in Oahu (2007), he was allowed to come along on his sons certification dives and the passion for diving was re-born. Open water certification followed later that year and Jim is now an active diver on the local scene. Between early May and late November the best place to find Jim is at Twin Lakes (Winfield). "I love the ease of warm water diving, especially in Bonaire, but the challenge and biodiversity of our west coast, Vancouver Island, is really gratifying. Closer to home, I’m somewhat addicted to Twin Lakes. Love getting together with friends, old and new for a weekly dive or three." Cathy learned to swim at a young age and has been in the water ever since! She is a certified National Lifesaving Society Lifeguard and a Red Cross Water Safety Instructor/ Instructor trainer. Continuing with the aquatic theme in her life she received her Open Water Diver certification in 2012. She loves to balance a good dive with a good snorkel. 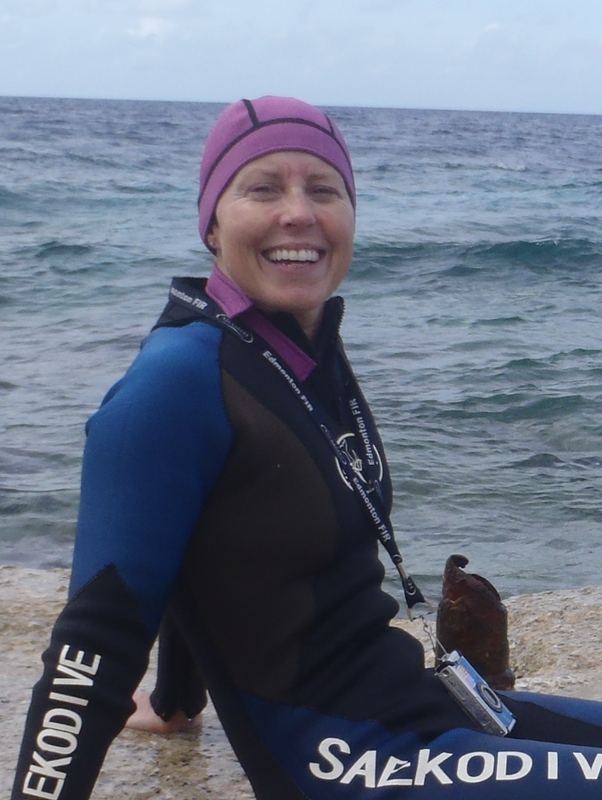 Cathy became a Snorkeling Instructor in 2015. 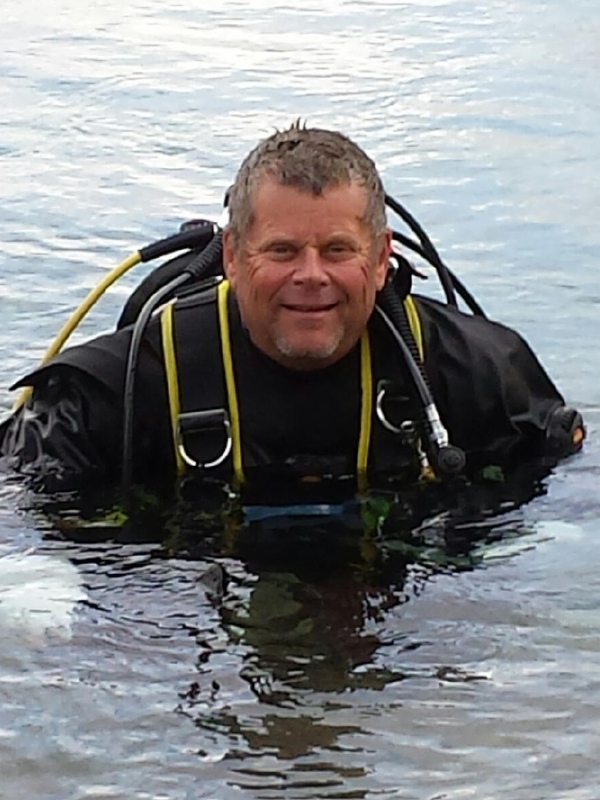 Ross was first certified as an open water diver in April 1990 and has since completed advanced training from a variety of training agencies including SSI, PADI, and SDI/TDI. Ross enjoys the clear waters of the tropics but when it comes down to it, he is very much at home in our less luxurious Alberta lakes. 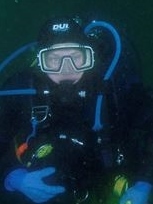 Arne started diving 2007 and earned his SDI Instructor certification in 2011. His dive travels include Jamaica, Bonaire, Mayan Riviera, Cozumel, Sea of Cortez by Cabo San Lucas, Hawaii, Oahu, Maui, and of course around Alberta. "Bonaire definitely, with Maui a close second. And of course Jasper is always incredible & fun!" 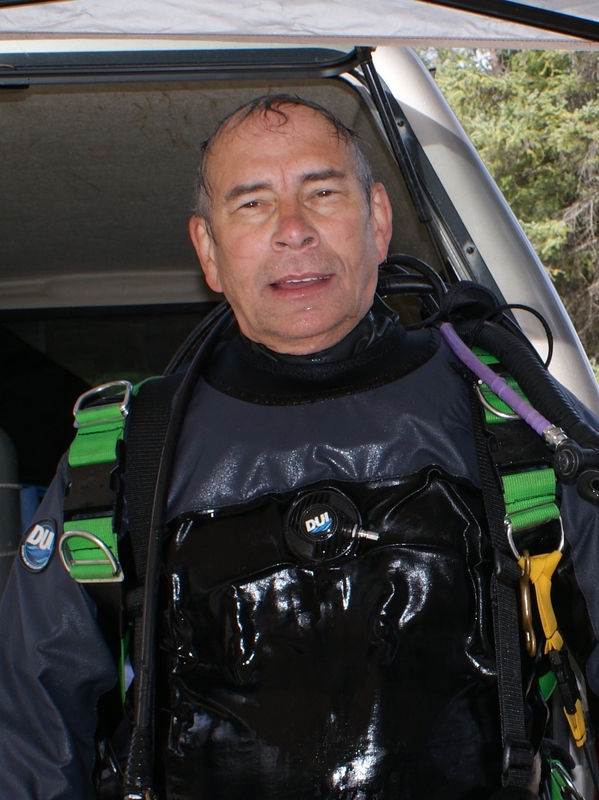 John started diving back in 1988 and went on to become an instructor in 1995. Then in 1998 he started technical diving and a year later became a tech diving instructor. He is now a SDI/TDI IT Staff Instructor Trainer IT. John has dove all over Canada including Newfoundland, Nova Scotia, the Great Lakes and extensively on the west coast from Victoria to Alaska. He also dove Scapa Flow in Scotland and has done many trips to Mexico for cave diving and reef diving. 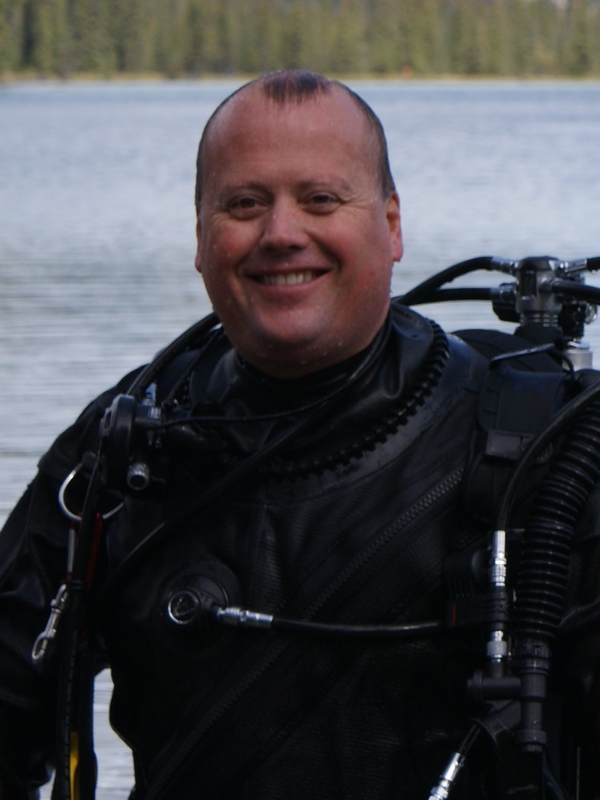 John is also a rebreather diver and enjoys underwater video & photography. "Anywhere underwater that is interesting.... especially wrecks and caves!" 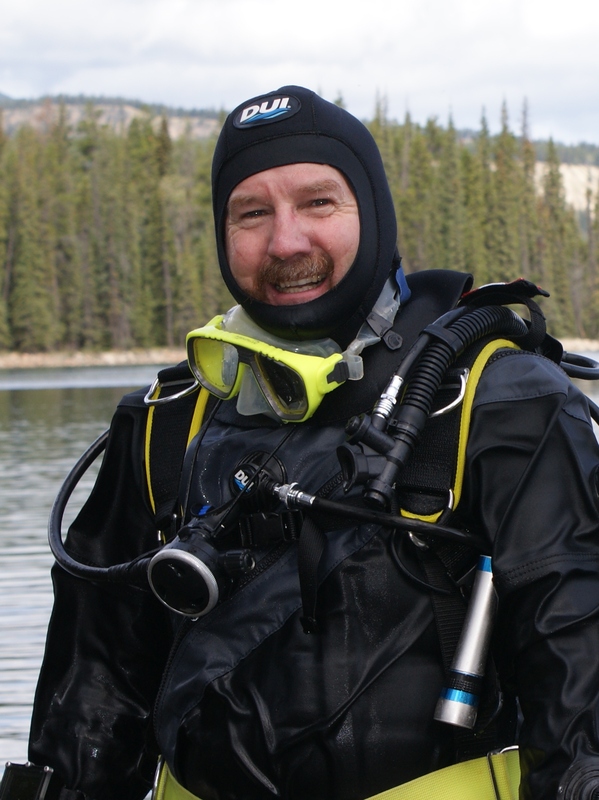 Stuart started diving in 2006 getting certified in the cool crystal clear waters of Lake Beauvert, Jasper. His dive travels have taken him to the reefs of Cozumel and the Mayan Riviera of Mexico, including the cenotes. He has also dove Maui and Vancouver Island. He's also a familiar face out at Twin Lakes and helping out with students at the pool or lake during the summer. "The Caribbean may be warm, but Vancouver Island simply cannot be matched for the sheer abundance of underwater life." Burc has grown up snorkeling in the Mediterranean. 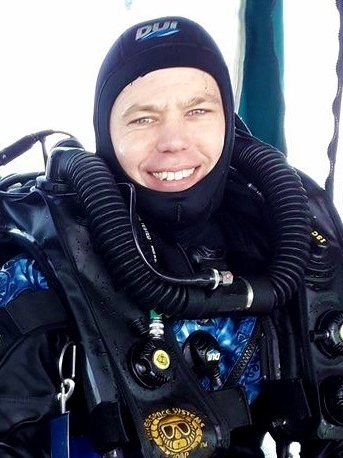 He got his scuba certification in 2010 and received training from a number of agencies, PADI, SSI and SDI, along the way accumulating more than 200 hours underwater. Burc dove all over Canada (Vancouver Island, Bay of Fundy, Nova Scotia, PEI), Alberta lakes, as well as Cuba and Bonaire. 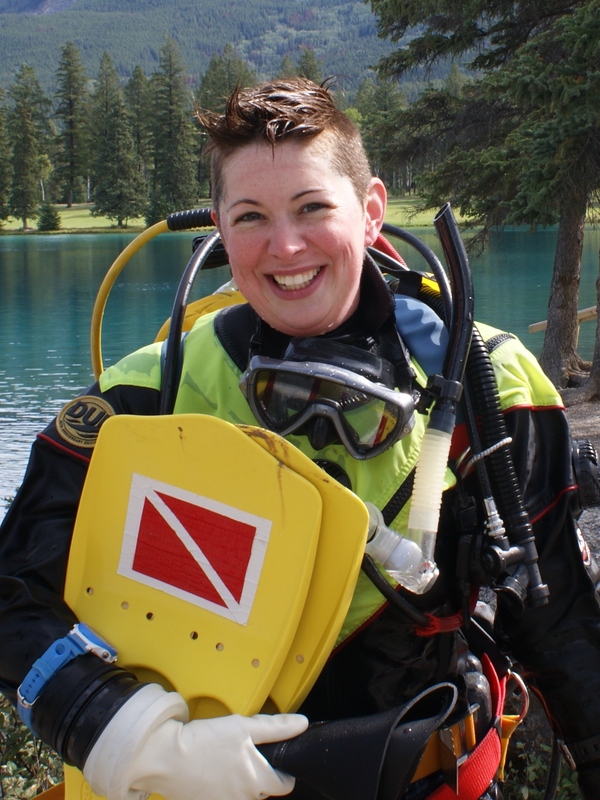 Terina started diving in 1998 when she got certified on a cold rainy May long weekend in Jasper. She spent the first years diving in Alberta lakes before her first ocean dive in Cuba. Since then diving has become her passion and she loves to share the underwater world with others. Terina tries to dive the West Coast (Vancouver area and Vancouver Island) every year. She has explored the cold waters of the Svalbard, Norway and its wrecks, and the beagle Channel of Argentina; and the tropical and intermediate waters from South Africa and Mozambique to various places in the Caribbean and tropical Pacific including Galapagos, Mexico, Philippines and Costa Rica. Terina is still an avid local diver diving around Alberta, and Jasper and Twin Lakes are the best places to find Terina during the open water season. Every place and dive has its own unique qualities and it is hard to compare to different types, but North Vancouver Island area never disappoints, and who doesn't enjoy hanging out with the burbot of Twin Lakes? Scott became certified in Lac Beauvert, Jasper, in 2014. He has since travelled to warmer waters in Cozumel, the Bahamas, Bonaire, Cocos Island, and Socorro Island, but hasn’t given up cold water diving in Twin Lake and Jasper. Scott earned his Divemaster certification in 2016 and continues to practice underwater photography. The pelagic life at Socorro Island was amazing, and it’s hard to beat the freedom of diving in Bonaire. Chris has been a certified diver since June 2011 and as well as diving locally in Alberta, has travelled to Mexico, Jamaica, The Dominican Republic and Bonaire. Chris completed his Divemaster Certification and enjoys helping students with their Open Water Course either in the pool or Lac Beauvert. Bonaire, or the Revillagigedo Islands.